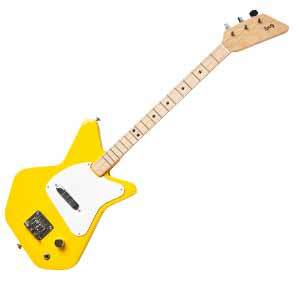 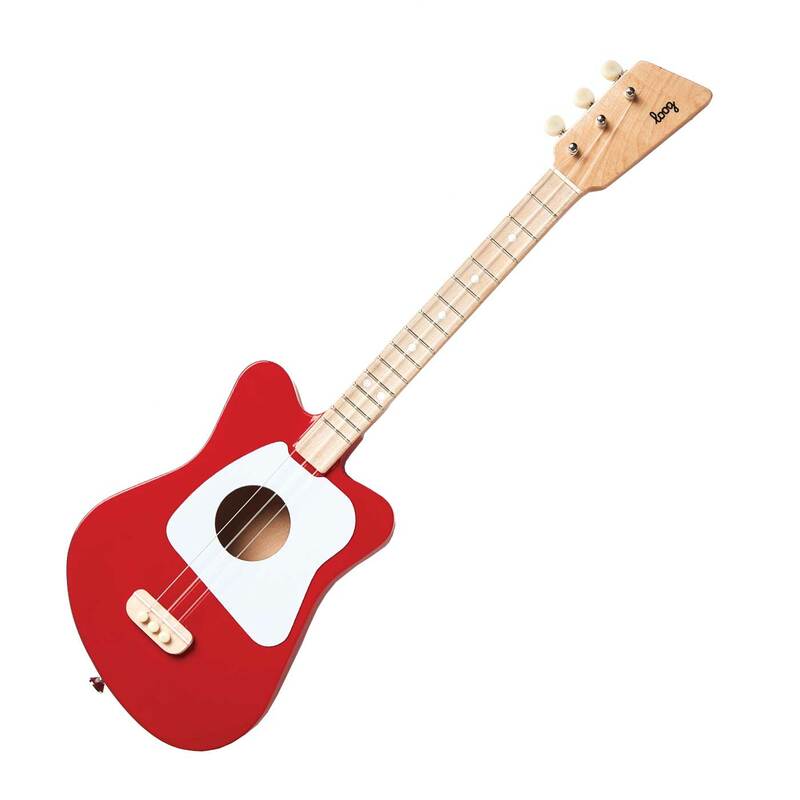 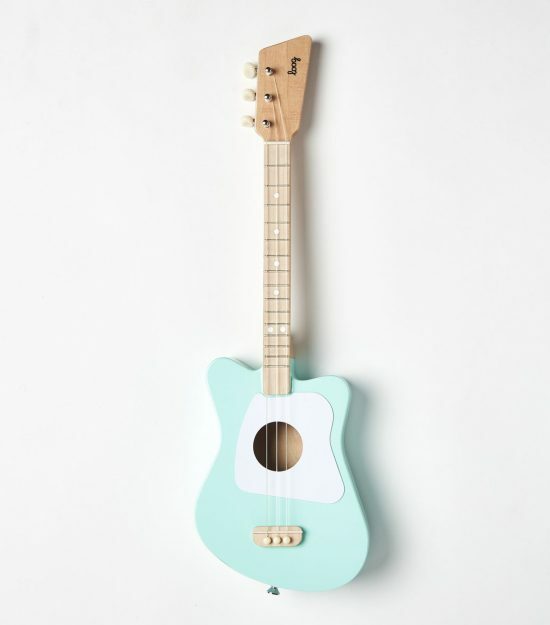 The Loog Kids Guitar makes it easy and fun for young kids and beginners to play and learn the guitar. 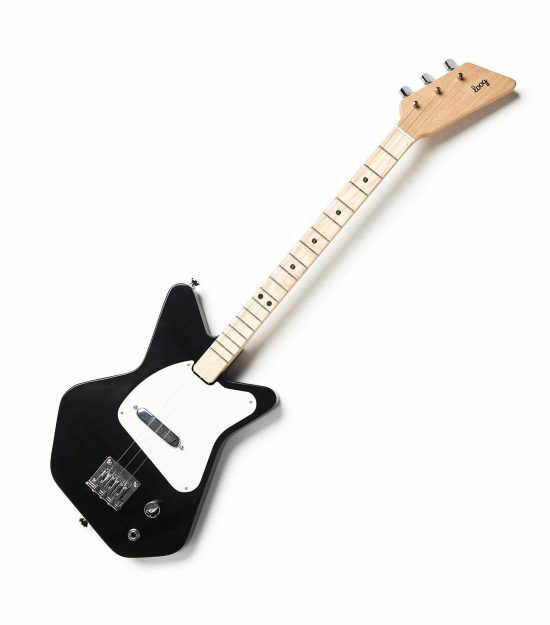 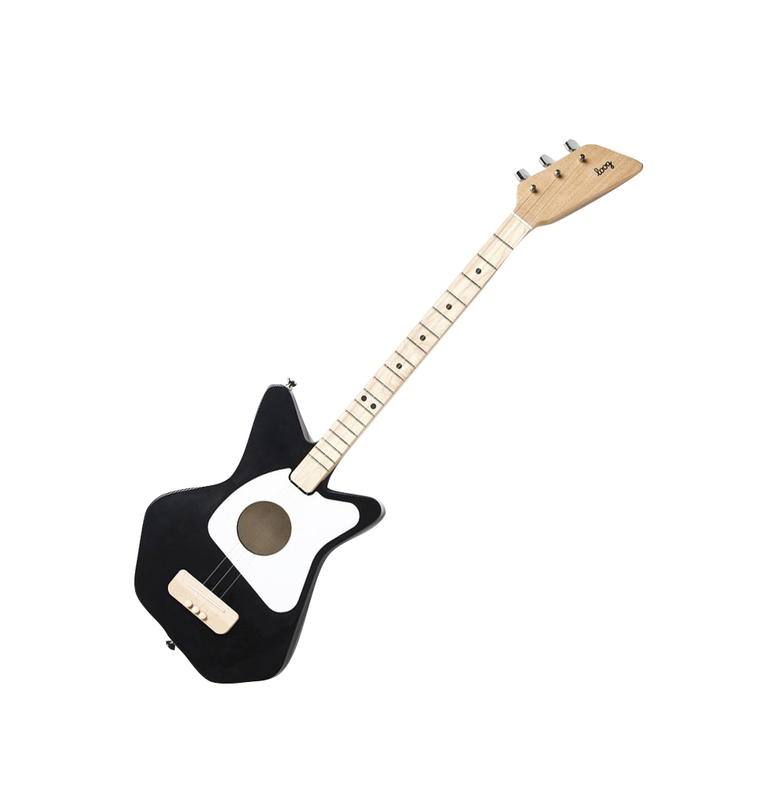 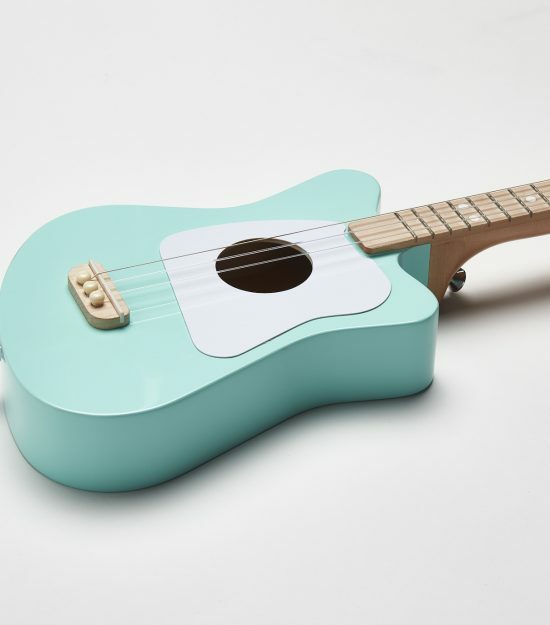 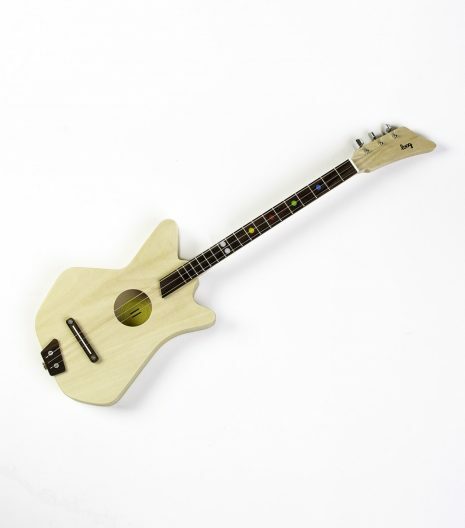 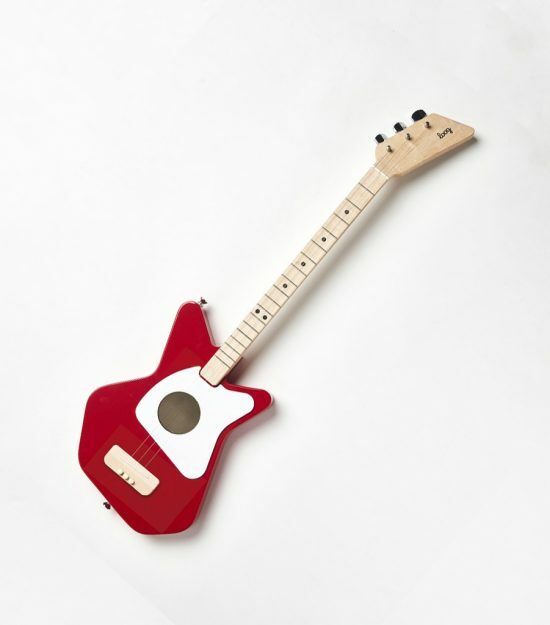 The Loog guitar only has three strings that are spaced much out much more than a standard starter guitar or a Ukulele. 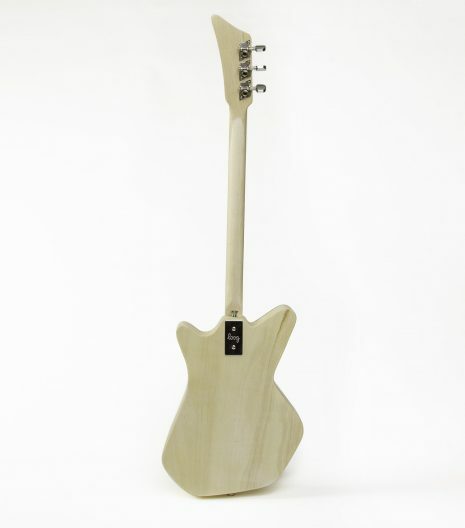 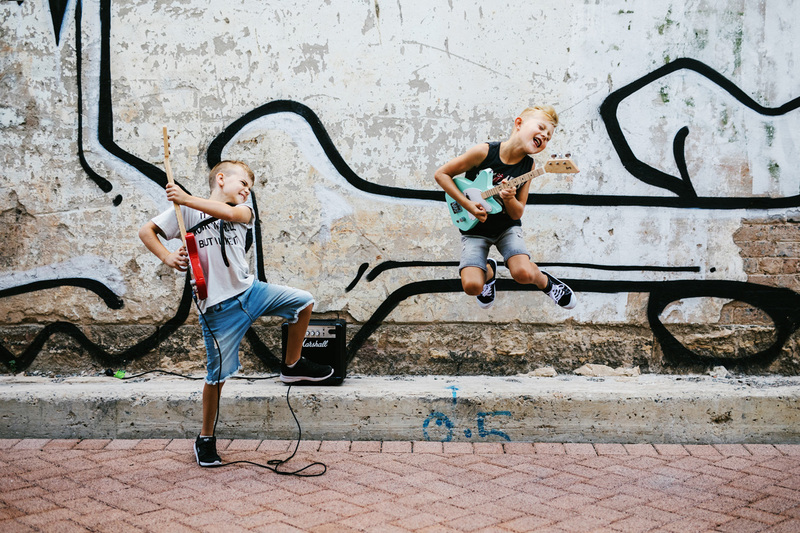 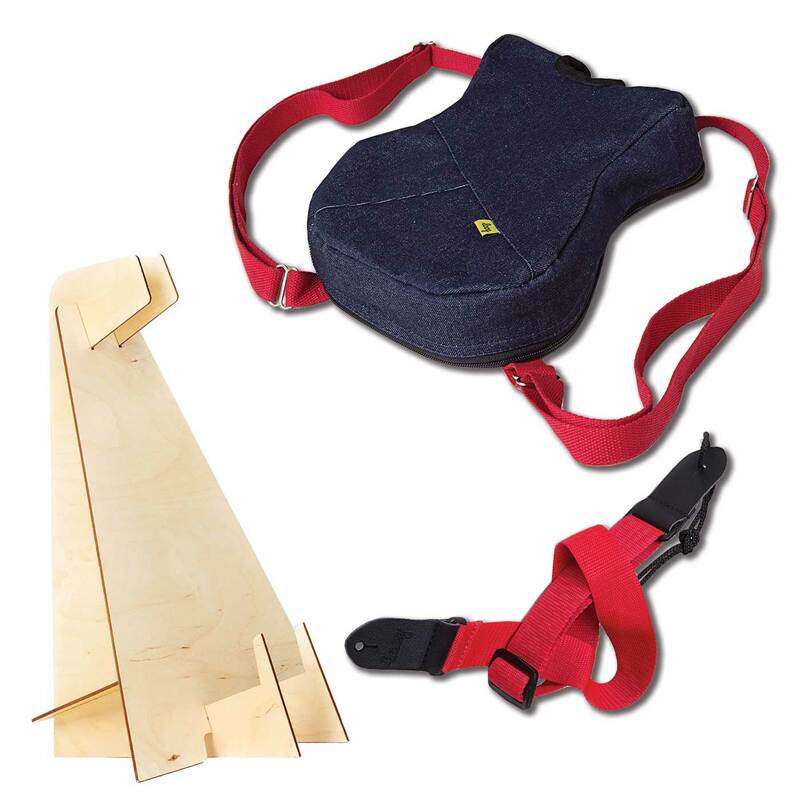 This means that the neck is not only thinner and easier to grip, but it is much easier for kids to make clean notes and simple chords that will have your kids playing quickly and most importantly having fun!